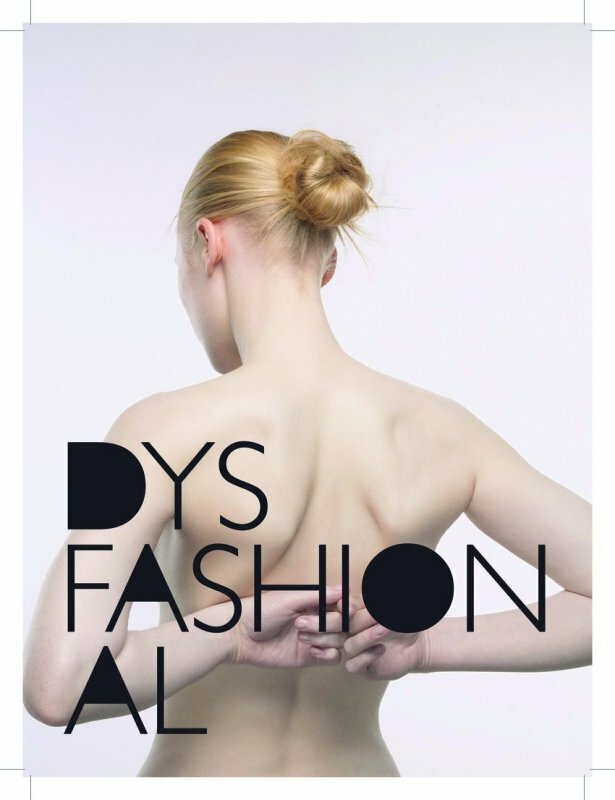 “After it’s debut appearance in Paris earlier this year, the latest installment of the DYSFASHIONAL exhibition has moved to Berlin, taking residence in the magnificent Haus der Kulturen der Welt. Designed by Hugh Stubbins Jr. in 1957, the arc-shaped building rises up over a mirror-still reflection pond, situated on the edge of the river in the Tiergarten park – a picturesque setting for this rather dark and unconventional exhibition that takes a look at the world of fashion from its avantgarde underbelly. 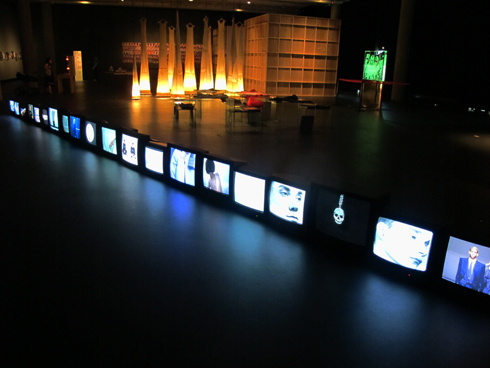 Originally presented by mosign in Luxembourg in 2007 and Lausanne in 2008, Dysfashional stands for a discord and disfunction in the fashion system, and aims to identify and celebrate the artists and designers who mould fashion into a veritable expressive medium – free from the blatant commercial aims and constraints that plague the industry. The current edition takes pieces from the original Dysfashional exhibition and adds new works from creators such as Item Idem, Marc Turlan and Bernhard Willhelm. 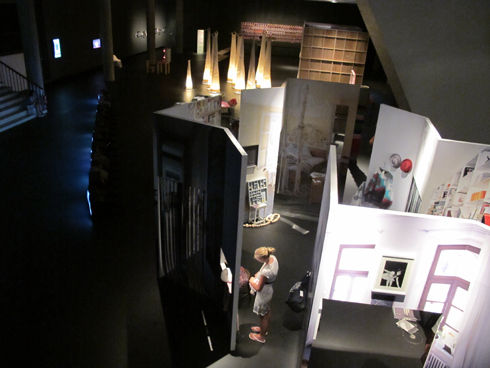 Inside the Haus der Kulturen der Welt, a cavernous dark space hosts the artworks – some existing within their own constructions and others hanging or suspended within the space. 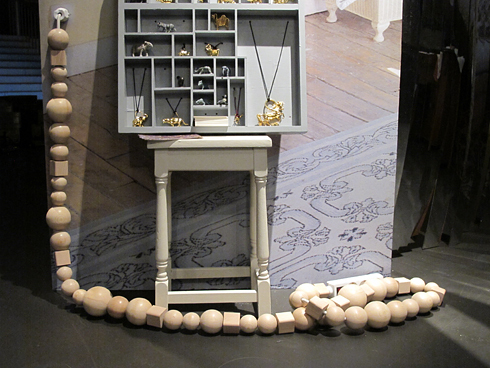 Tackling the hybrid retail/exhibition concept of the curators, BLESS has created a pop-up shop to sell their quirky products – with books, sunglasses, t-shirts and their signature decorated electricity cords “cable jewellery”. 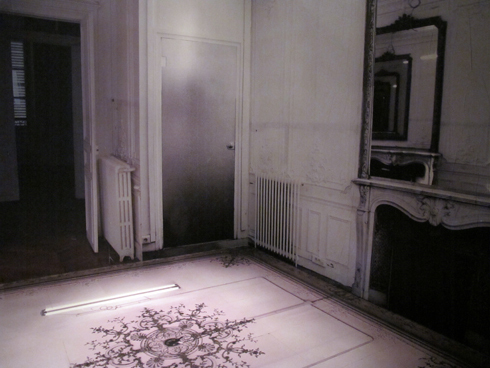 The Maison Martin Margiela also offered an impressive installation, with three simulated rooms plastered with stickers from their ‘trompe l’oeil’ home series – 2D graphics of baroque wall decorations, tiled floors, fireplaces and corridors all rendered in shades of dirty white. Other collaborators sought to demonstrate less their “artistic retail” side, for a more pure expression of art through fashion. For his trademark “softporn” aesthetic, German designer Bernhard Willhelm (in collaboration with Christophe Hamaide-Pierson) invaded an entire wall of the room with a collage of Vogue magazine covers, each one violated by a man’s decorated phallus poking through the pages. NY-based French pop artist Cyril Duval (under the collective moniker Item Idem) produced a “digital postcard” of illuminated laser-etched glass, featuring the heads of fashion’s most famous faces in a 21st century interpretation of Mount Rushmore. The name? Mount Blushmore. 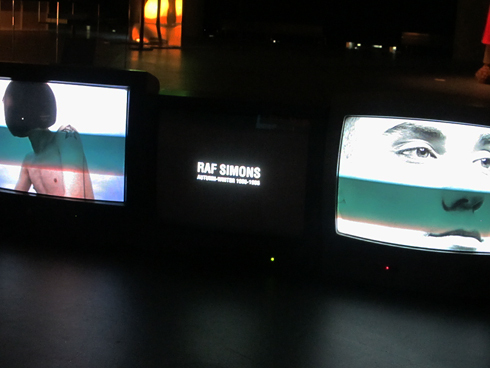 More traditional pieces include Raf Simons‘ Repeat installation from his 2005 Pitti Immagine event in Florence, consisting of a line of twenty cathode ray television projecting images from his collections and shows from 1995 – 2005. 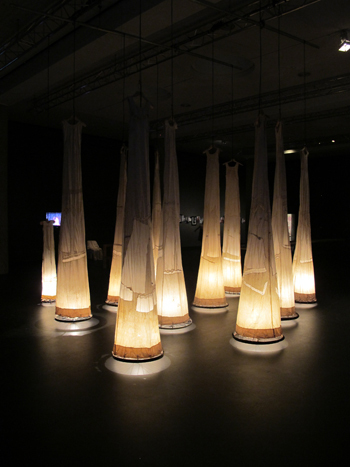 Antonio Marras’ Le Orfanelle evokes both elongated hanging skirts and glowing tents, as an abstract realisation of the designer’s delicate artisanal techniques coupled with a new spatial element. Some exhibitors chose to explore greater sensual elements than just pure visual aesthetics, like Hussein Chalayan who offered his confronting 2004 film Anaesthetics, dealing with the supression of sensitivity, considering human rituals as a numbing control process. 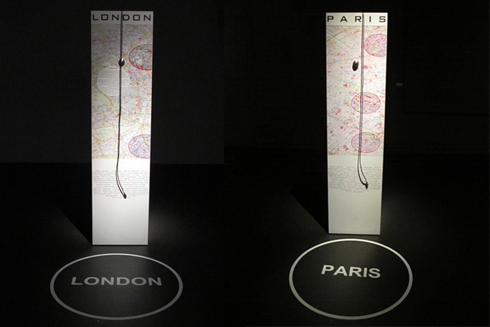 Norweigan scent-artist Sissel Tolaas recreated the smells of New York, Paris, London and Berlin in four interactive map towers, allowing the audience to experience the heady odours of each city at the press of a button. The broad span of experiences embedded in Dysfashional are proof of the rich layers that still exist within fashion – a creative field so often pinpointed as superficial and shallow. Though this exhibition that fell under the radar of many, the formidable selection of international creative talents (and their contributions that stretch the boundaries of their craft) is a reminder of the continuing relevance of fashion as a conceptual medium for communication and expression in our postmodern age.” – Text and images courtesy of A blog curated by and Colette.